People with paranoid personality disorder (PPD) have long-term, widespread and unwarranted suspicions that other people are hostile, threatening or demeaning. These beliefs are steadfastly maintained in the absence of any real supporting evidence; the chronic paranoia experienced by people with paranoid personality disorder is not simply suspiciousness; suspicions are normal when based on previous experience or events related by other people. The disorder, whose name comes from the Greek word for 'madness', causes affected individuals to believe they are being exploited, taken advantage of or sabotaged. Paranoid personality disorder sufferers often read malicious or threatening motives into simple words or acts. Approximately 4.4 percent of the adult US population meets the diagnostic criteria for paranoid personality disorder (PPD), meaning 9.2 million Americans live with chronic paranoia and suspicion of others. They suspect strangers, and even people they know, of planning to harm or exploit them. As a result of their constant concern about the lack of trustworthiness of others, patients with this disorder often have few intimate friends or close human contacts. They do not fit in and they do not make good 'team players'. They marry or become otherwise attached to someone, the relationship is often characterized by pathological jealousy and attempts to control their partner. They often assume their sexual partner is 'cheating' on them. Despite the pervasive suspicions they have of others, patients with PPD are not delusional (except in rare, brief instances brought on by stress). These traits only have a negative impact on a person's ability to function socially, at work, and in intimate relationships. Most of the time, they are in touch with reality, except for their misinterpretation of others' motives and intentions. PPD patients are not psychotic but their conviction that others are trying to 'get them' or humiliate them in some way often leads to hostility and social isolation. Therefore they find it difficult, if not impossible, to form lasting relationships. Their paranoia forces them to constantly question the sincerity of friends, and the fidelity of spouses or sexual partners. Paranoid personality disorder sufferers often appear aloof, cold, or emotionally distant to others. The paranoid personality deliberately distances himself or herself from others, due both to paranoia and a fear of betrayal. Although the paranoid personality is extremely sensitive to both real and imagined sights and criticism, individuals with the disorder tend to be extremely critical of others and quick to place blame or make accusations. No one knows what causes paranoid personality disorder, although there are hints that familial factors may influence the development of the disorder in some cases. There seem to be more cases of PPD in families that have one or more members who suffer from such psychotic disorders as schizophrenia or delusional disorder. Other possible interpersonal causes have been proposed. For example, some therapists believe that the behavior that characterizes PPD might be learned. They suggest that such behavior might be traced back to childhood experiences. 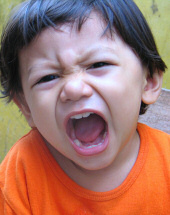 According to this view, children who are exposed to adult anger and rage with no way to predict the outbursts and no way to escape or control them develop paranoid ways of thinking in an effort to cope with the stress. PPD would emerge when this type of thinking becomes part of the individual's personality as adulthood approaches. Studies of identical (or monozygotic) and fraternal (or dizygotic) twins suggest that genetic factors may also play an important role in causing the disorder. Twin studies indicate that genes contribute to the development of childhood personality disorders, including PPD. Furthermore, estimates of the degree of genetic contribution to the development of childhood personality disorders are similar to estimates of the genetic contribution to adult versions of the disorders. Chronic paranoia and distrust often force paranoid personality disorder sufferers into social isolation, not only due to their own paranoia, but also because friends and co-workers draw away from continual criticism and unwarranted accusations. The stress of living with chronic paranoia increases the risk of violence among paranoid personality disorder sufferers, who may respond with verbal or physical attacks when they feel they have been 'pushed too far'. It has not been possible to determine the number of people with PPD with high accuracy. This lack of data might be expected for a disorder that is characterized by extreme suspiciousness. Such patients in many cases avoid voluntary contact with such people as mental health workers who have a certain amount of power over them. According to the DSM-IV-TR, between 0.5% and 2.5% of the general population of the United States have PPD, while 2%-10% of outpatients receiving psychiatric care are affected. A significant percentage of institutionalized psychiatric patients, between 10% and 30%, might have symptoms that qualify for a diagnosis of PPD. Yet again, the disorder appears to be more common in men than in women. A core symptom of PPD is a generalized distrust of other people. Comments and actions that healthy people would not notice come across as full of insults and threats to someone with the disorder. Their suspicions that others are intent on harming or exploiting them are so pervasive and intense that people with PPD often become very isolated. They avoid normal social interactions. And because they feel so insecure in what is a very threatening world for them, patients with PPD are capable of becoming violent. Innocuous comments, harmless jokes and other day-to-day communications are often perceived as insults. Paranoid suspicions carry over into all realms of life. Those burdened with PPD are frequently convinced that their sexual partners are unfaithful. They may misinterpret compliments offered by employers or coworkers as hidden criticisms or attempts to get them to work harder. Complimenting a person with PPD on their clothing or car, for example, could easily be taken as an attack on their materialism or selfishness. Because they persistently question the motivations and trustworthiness of others, patients with PPD are not inclined to share intimacies. They fear such information might be used against them. As a result, they become hostile and unfriendly, argumentative or aloof. Their unpleasantness often draws negative responses from those around them. These rebuffs become 'proof' in the patient's mind that others are, indeed, hostile to them. They have little insight into the effects of their attitude and behavior on their generally unsuccessful interactions with others. Asked if they might be responsible for negative interactions that fill their lives, people with PPD are likely to place all the blame on others.